Tax season is in full swing, but if your current accounting software isn't getting the job done for you, fear not. There might be a better way to crunch the numbers. Online accounting options abound, offering a variety of features and prices, including apps for mobile devices. Migrating to one of these new systems can be a surprisingly easy process. Simply import last year's sales, expenses, bank account and other transaction data into the new tool. 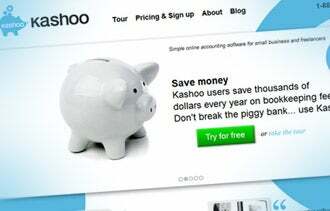 Based in Vancouver, B.C., Kashoo offers an in-depth accounting package for small businesses. Think of Kashoo as a series of online interactive forms. Users enter sales, expense and other financial data, and Kashoo generates tables and other output. Features include a check-printing service and a tool for verifying that your books are balanced. Kashoo also offers an easy-to-navigate interface and simple mobile integration with an attractive iPad app. The "at-a-glance" reports can be especially useful for showing the financial status of a small business. A word of caution: Because Kashoo essentially turns you into your own bookkeeper, you must feel comfortable entering financial data. Basic accounts are free. For $9.99 a month, you can get a subscription that includes automated bank imports, multiple currencies and secure sharing of the files your accountant uses. For more sophisticated users looking to make the transition to online accounting, Wellington, N.Z.-based Xero might be a logical choice. It offers features such as expense management and ledger tracking, as well as granular-level controls for how accounts are set up. These features generate detailed graphics that can make it easy to see where your business is making and losing money. Xero's main drawback: Its tools and settings are packed with financial details and jargon that could leave some people confused. Basic packages start at $19 per month for up to five invoices. Unlimited service costs $39 per month. Edinburgh, U.K-based FreeAgent packs a wealth of information into a single, tab-based layout, including contacts, estimates, billing, sales expenses and bank statement data. Users can invoice and create expense reports. The online dashboard is simple and easy to navigate, but FreeAgent requires a level of accounting fluency. To get the most out of this tool, users will need to be familiar with or learn such concepts as trial balances and capital assets. Following a 30-day free trial, FreeAgent costs $20 per month for unlimited users and bank accounts. Yendo's tab-based dashboard should feel comfortable to anyone who uses the web to do business. But the Dublin, Ireland-based accounting platform can be especially handy for mobile users. There isn't a special smartphone app, but Yendo's web app runs efficiently on phone and tablet browsers. Yendo also comes with powerful reporting features and the ability to generate clean looking spreadsheets and PDF reports. But keep in mind that this tool provides an almost overly simplified presentation of data compared with other options. It relies on a series of simple tabs that make it difficult to find the exact figures if you want to examine specific transactions. You'll probably need to do some digging to find them. Yendo's free package supports one user and up to five invoices per month. Unlimited features run $52 per month. Bottom line: If your current accounting package isn't meeting your needs, consider giving these tools at least a test drive. They might end up saving you time, and at least a headache or two, during tax season and beyond.